I’ve got to get out more. When we get out of our comfort zone and I talk to others, it gives me platforms to jump off. Ideas come pouring in from what I see and experience and I can’t wait to tell you all about it. However, with autism it’s difficult to leave this haven and my disease also keeps me tied down most of the time. Despite those obstacles, we did leave the safety of our humble abode and spent time with others this weekend, and it brought to mind something I’ve thought of sharing with you before. I’ve shared bits and pieces of this idea, but it came to light again, and I feel it’s so important for autism parents and educators to hear. It can’t be heard too much, it’s something I think we need to be consistently reminded of. I know I do. This past weekend we spent some time at my kids Grandma’s house. Now before I start, this is NOT a mother-in-law bashing session. My mother-in-law takes great care of our children, she runs an in-home daycare, and she’s always been the most sought after daycare in town. 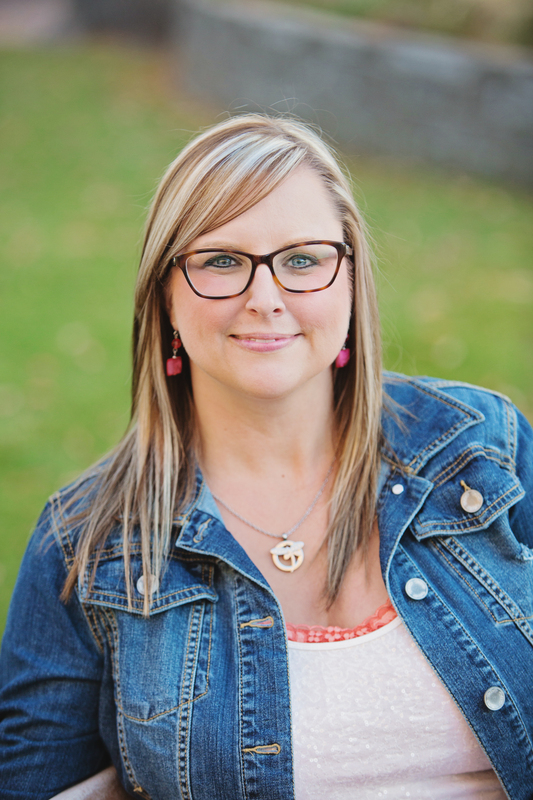 She takes care of our kids for a few hours during the school-week and a couple mornings and an afternoon in the summers. I’m grateful I don’t have to fear every time they go to daycare, I know they’ll be taken care of and I know no one will abuse Jeremiah. However, after years of doing daycare, Grandma has turned into, well, a Grandma. She’s also never had children in her daycare who have significant special needs. This isn’t a problem for short visits, but when it seconds as the kids daycare it can pose some challenges. One of those is how she treats Jeremiah. She doesn’t treat him badly, but neither does she see what he’s capable of, and even when she does, her expectations aren’t raised. It’s one thing when I hear about what she does with Jeremiah. (My husband, Justin, is usually the one to drop-off and pick-up the kids, so he relays the daily goings-on at Grandma’s.) It’s a whole other side of the coin when I see it in progress. At her house, Jeremiah is allowed to take his food into her room and eat his snack on the bed while watching a movie, he also has his cup of juice. There is always a movie on, when he enters her house she turns it on for him. At our house we’ve worked VERY hard to teach Jeremiah to sit at the table when he eats. The food stays on the table, but he is allowed to come and go because he snacks all day since he doesn’t get proper nutrition from any food source, so he doesn’t get full at a meal. We don’t let him drink juice at home, we don’t have it in the house. If we did, he would be begging for it all the time, in the fridge, or crying at said fridge. But, it’s Grandma’s house and we draw the line at sugar loaded cereal, but let the juice slide. I happened to be standing between Jeremiah and the “movie room” and he headed straight for the table instead of her room, and sat his bowl down. I grabbed a chair for him to sit on, and Grandma said, “Oh, he takes his snack in to watch the movie all the time.” I just smiled, or tried to, it was Mother’s Day after all. I told Jeremiah to sit down and he did. Why did he take his bowl to the table when he normally takes it to the “movie room” when he’s at Grandma’s? Was it because I was standing there and he knows I’m his mom and I have expectations? Is it because he knew what those expectations were? Was it because he knew Mommy wouldn’t let him take his food on Grandma’s bed? I think so. He’s not dumb. There was a time when Jeremiah couldn’t understand as much, and at that time we didn’t expect as much. Although we’ve always had expectations that he leave his food and drink at the table, along with some other guidelines. As Jeremiah gains understanding, which is happening rapidly, we increase our expectations, always keeping in mind what he’s able to do. When Temple Grandin was young, she used to spin a ball that was connected to her bed, it calmed her, made her able to function in life. She could have done this all day, but her mother only allowed her to spin this ball for a certain amount of time during the day, she knew her daughter needed to move beyond the spinning ball, and she did. Side note: I do feel that time for movies and video games is sometimes necessary for the autistic person. I used to feel so guilty when I would allow Jeremiah to watch more movies than I thought healthy for a child like him. Lia, the therapist who used to work with us said that maybe movies helped Jeremiah, made him calmer, helped with his sensory needs. She felt that sometimes he needed to focus solely on what was on the screen instead of everything in his world. As in anything, there’s balance, and we need to be able to read our kids and understand what they need, but also what is good for them. A couple years ago I watched a video of Rosie King at home with her autistic brother. Rosie has autism, but it’s more of an Aspergers type. It was a great video with excellent insight into how autistic people feel, but when they turned the camera on her brother, I was slightly bothered. He came running out of the bathroom where he’d been taking a bubble bath, he was covered in suds. In another scene, he was kicking sand out of the sandbox, and in another he was climbing on the top of the entertainment center. As for the climbing on the entertainment center, whatever floats in your family is good for you. I’ve learned that sometimes Jeremiah does this (only on the top of the stand, not the top near the ceiling like Rosie’s brother) because he needs a higher perspective, so we tell him to get down and take him out to the playhouse and let him climb there. But running around the house dropping suds everywhere, this isn’t harmful, and if the parent’s okay with it, fine. But would this parent allow a non-autistic child do this? Well, probably, but it really releases any expectations on the child who needs to learn how to be in society like other kids. Different is fine, unacceptable behavior is not. And kicking sand out of the sandbox? What happens when this child is upset and anywhere near dirt in the community? Will he kick it? Is his behavior isolated to sand? Would this behavior be acceptable when he’s in the sandbox with his friends? 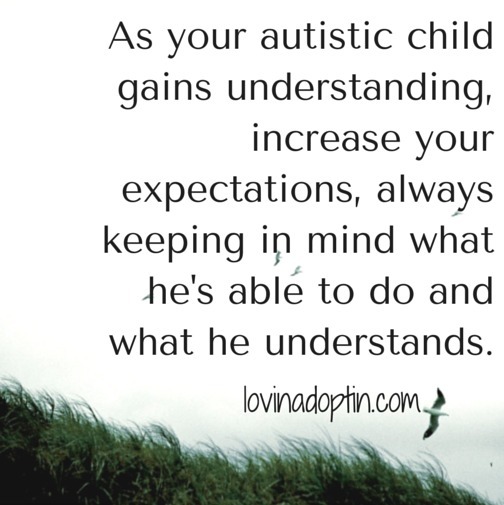 We need to have expectations for autistic kids. No, they won’t be nearly as high as those for typical kids, but typical kids have expectations too. And I don’t mean that we need to be doing ABA forty or even twenty-hours per week. I mean expectations as the child is able. For example, we are working on potty training Jeremiah. We aren’t doing it the ABA way, and it’s going to take forever, but we work on it. We don’t expect Jeremiah to be wearing a pull-up when he’s thirteen. We’re also working with him on pulling up his pants on his own, we would work on this some if he’d never done it before, but we have more expectation that he will learn to, and needs to work on it, because he takes his pants off and puts them on when he wants to. We may let our kids stand on certain couches or chairs, but not let them stand on others, and this is fine, as long as your child is able to learn to differentiate. Both autistic kids who are verbal and nonverbal are capable of so much, often much more than we realize. Allowing them to get away with everything because we don’t want to teach them or we don’t think they’re capable isn’t always a good excuse (it’s a good excuse occasionally because I know we’re damn tired). But I know from teaching and working with my son who was thought to be a more severe case of autism, that these kids can. They can do so much more than we may ever realize, and they understand so much more than we ever realize. And often that CAN is connected to what we think about them and their capabilities – just like Jeremiah and his snack at his Grandmas, when I was there he knew the expectations were higher and he met them easily. 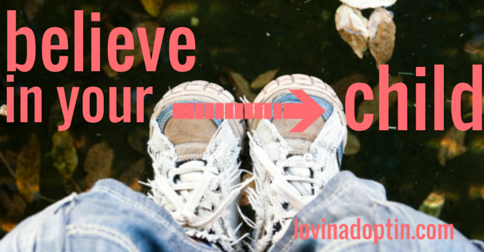 Are there things that you’ve assumed your child can’t do? Are there things you need to work on? What are those? This post was inspired by Musings of an Aspie’s post, I Am Not Temple Grandin. Please check out her post, it’s well worth the read. 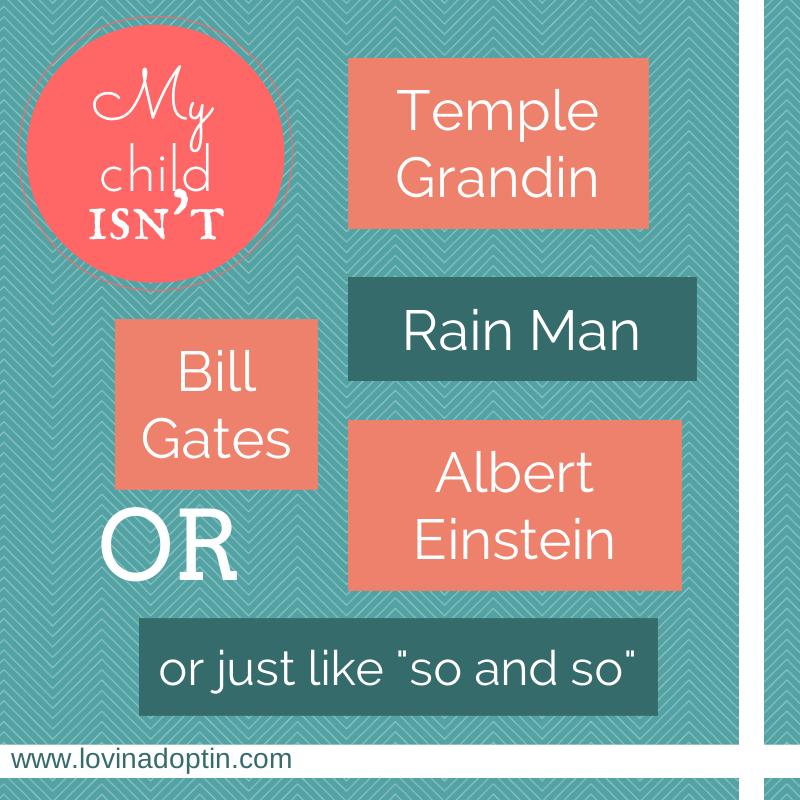 When someone finds out your child has Autism, do they drop famous names such as, Albert Einstein, Bill Gates, or Temple Grandin, or do they reference the movie Rain Man? Maybe it’s better they relate your Autism experience to these examples than just stare at you, because that’s the reaction I receive the most when I mention my son has Autism. I’ve also heard references to the above famous names when I tell others about my son having Autism. I’ve also been given blanket statements like, “People with Autism are SO smart.” Yes, they are, but intelligence looks different for every person on the spectrum. My son is nonverbal, we see glimpses of his intelligence at times, but in other ways life is difficult because he doesn’t understand our world. We have to live in his, which has taught me so much, and try to bring him into ours continually so he can function in life. I love the post I Am Not Temple Grandin by Musings of an Aspie, she so eloquently describes the diversity in people with Autism, addressing marriage, jobs, and personalities. People on the spectrum are just that, people. They are unique individuals just like everyone else. Problem is everyone else wants to put them in a box. If they’re high functioning or have Aspergers, they’re like those famous people I mentioned earlier, and expectations are placed on them, as if they presume they’re a savant. If someone is low functioning, people want to associate them with someone, albeit non-famous, who is lower functioning. I don’t think it’s so bad for people to make associations in Autism, but they need to be careful to not place those expectations on others. Also, mentioning the Autistic Greats to parents may make them feel discouraged. 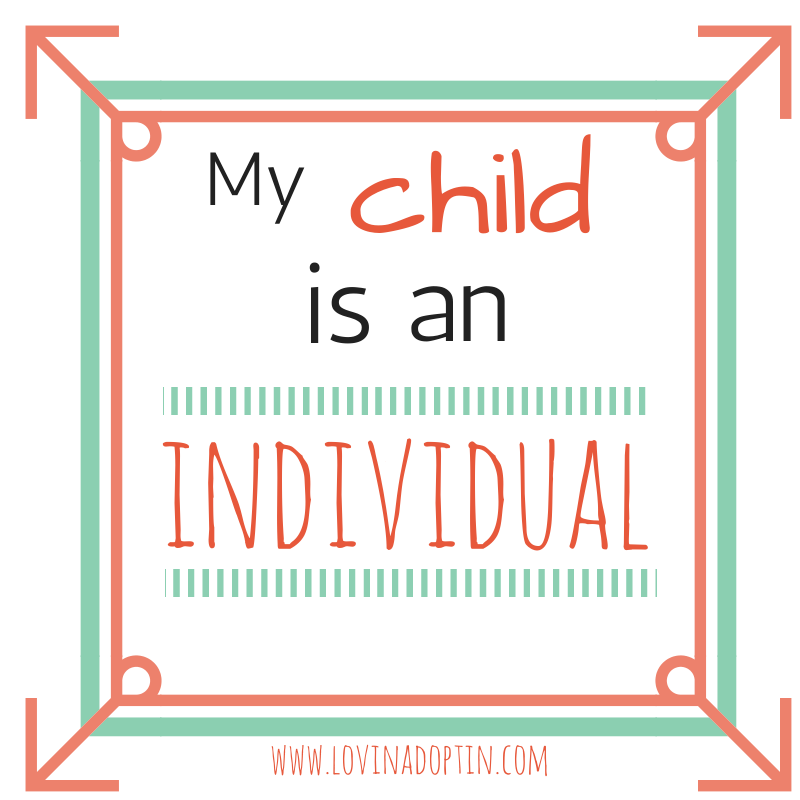 We don’t need to be reminded of the awesome geniuses related to the Autism name (we already know all about them – I think Temple has some great insight), we need to be able to focus on our child’s individual greatness. 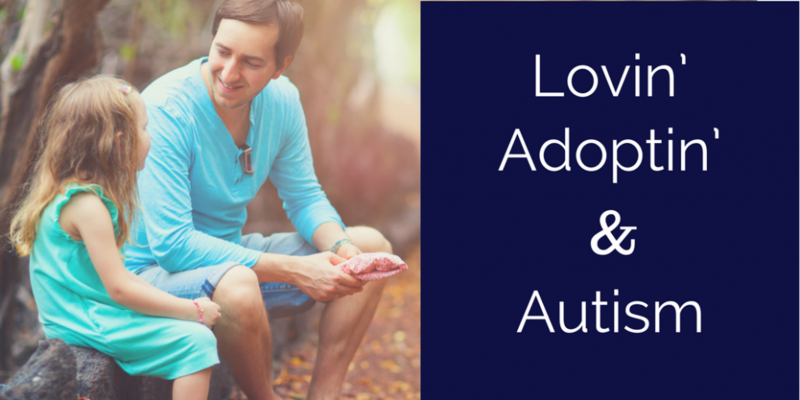 You can receive each post written on Lovin’ Adoptin’ by subscribing in the upper right corner, and you can follow me on Facebook and Twitter for more helpful information and links.